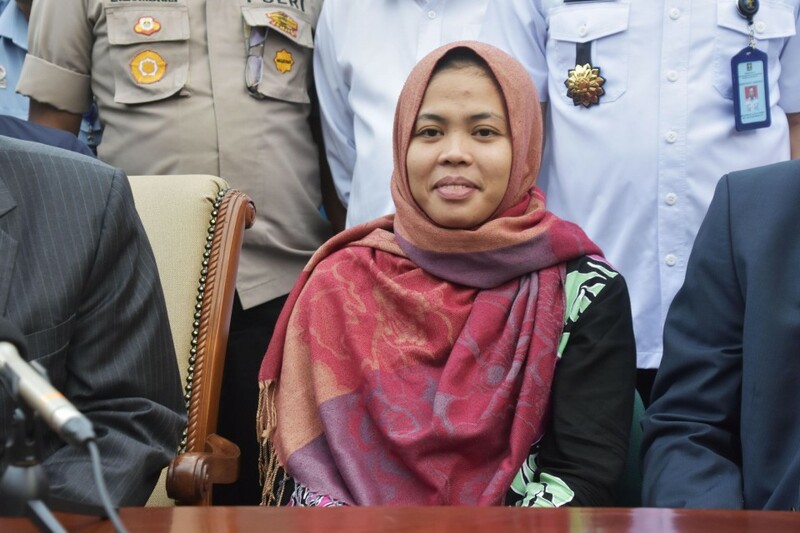 The lawyer, Naran Singh, told Kyodo News in a short phone text that the Malaysia prisons department has confirmed Doan Thi Huong, 30, will be released on that day from the women's prison in Kajang, on the outskirts of Kuala Lumpur. Kim Jong Nam was killed at Kuala Lumpur International Airport on Feb. 13, 2017. Huong, charged with murder more than two years ago, pleaded guilty on April 1 to a lesser charge of "causing hurt", punishable by up to 10 years in jail. The unexpected offer from the prosecution came following intense lobbying by the Vietnamese government. It stepped up pressure after Huong's co-accused Siti Aisyah, 27, from Indonesia was suddenly freed last month following her government's campaigning to Malaysia's attorney general. The attorney general withdrew the murder charge against Aisyah but not Huong, prompting criticisms of unfairness and discrimination. Following the plea deal, Shah Alam High Court judge Azmi Ariffin sentenced Huong to three years and four months in jail, running from the date of her arrest on Feb. 15, 2017. But she is entitled to a one-third reduction in her prison term under Malaysian law, given that she has been detained for more than two years and shown good behavior. Aisyah and Huong were initially charged with murdering Kim Jong Un's paternal half-brother by smearing the toxic nerve agent VX on his face at Kuala Lumpur International Airport. They claimed they thought they were taking part in a TV-related prank. If convicted, they would have faced a mandatory sentence of death by hanging.